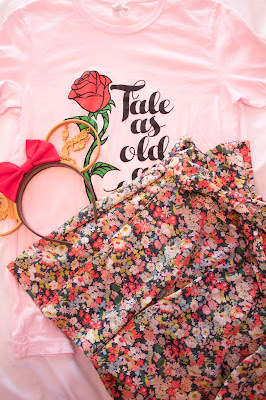 Sew Cute: Dose of Disney: What I'm wearing on my Disney trip! 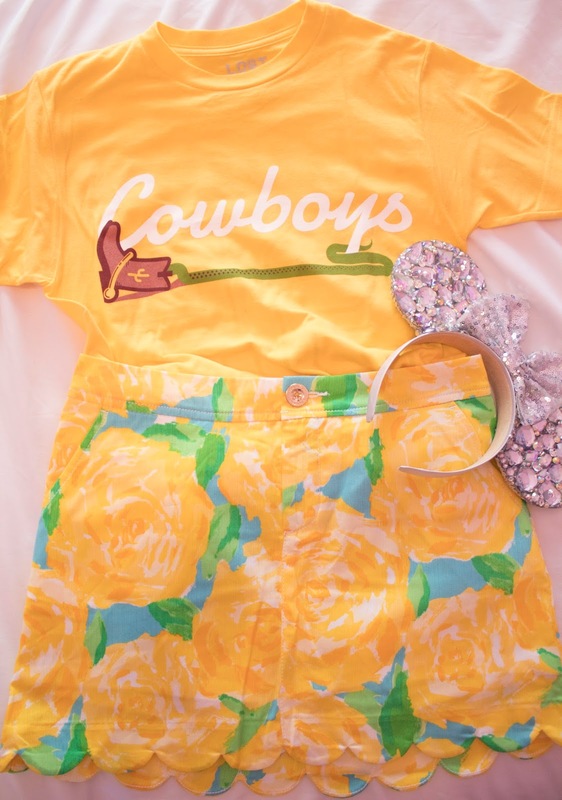 Dose of Disney: What I'm wearing on my Disney trip! Hello friends! 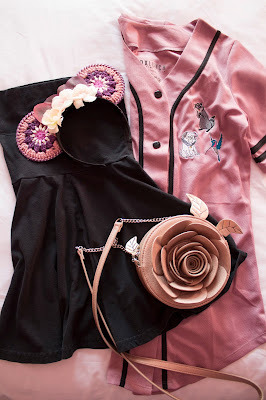 On today's Dose of Disney post I'm sharing all of the details for what I'm planning to wear at Disney. I'm still waiting on some pieces, but this is the bulk of my outfits I'm bringing to the parks for my week long girl's trip with my mom. I thought it would be fun to give you a peek as to what I am bringing, and give you as many outfit details as possible. Some of the pieces are a few months old or were limited releases. So, they aren't all available to purchase. But, I linked items that are similar or the website they are from! I am so excited for these two looks! I am a crazy person and am planning outfit changes while at the parks. Obviously that is not necessary, but for picture wise I want to get a ton of cute pictures to use for Instagram and blogposts. These outfits are super simple to re-create. 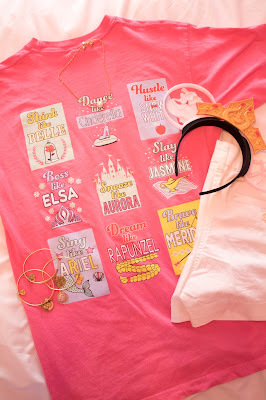 Jadelynn Brooke has a ton of cute Disney inspired tees and they are so comfy. I love all of the bright colors they use, plus they are subtle but still super fun! I'm pairing both of these tees with simple white chino shorts with a pair of fun ears. These Sleeping Beauty Ears from Aloha Ear Design are so cute. The best part is they glow in the dark! One day of the trip at Magic Kingdom I'm going full blown Beauty & the Beast theme! We always go to Be Our Guest for lunch so I'm planning on wearing these looks that day. Beauty & the Beast is one of my favorite movies, so I have a ton of fun pieces inspired by the film. 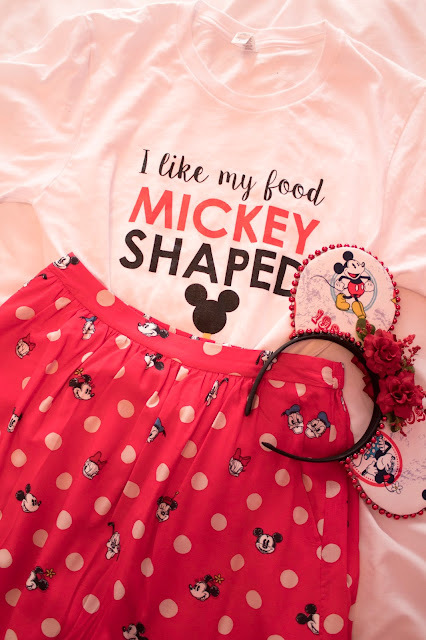 Pairing a fun tee with a more dressy short is a fun way to create a cool Disney style of your own! 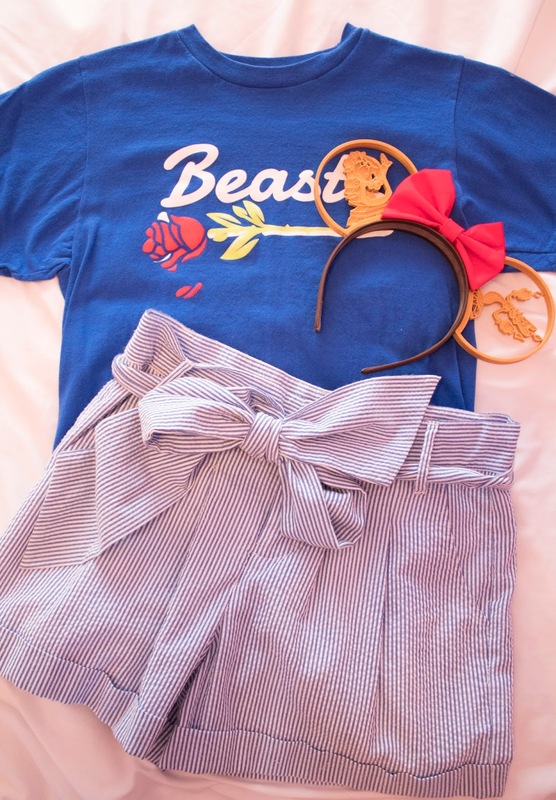 Beast jersey tee | Lost Bros.
Another day at Magic Kingdom I am going Pixar crazy. 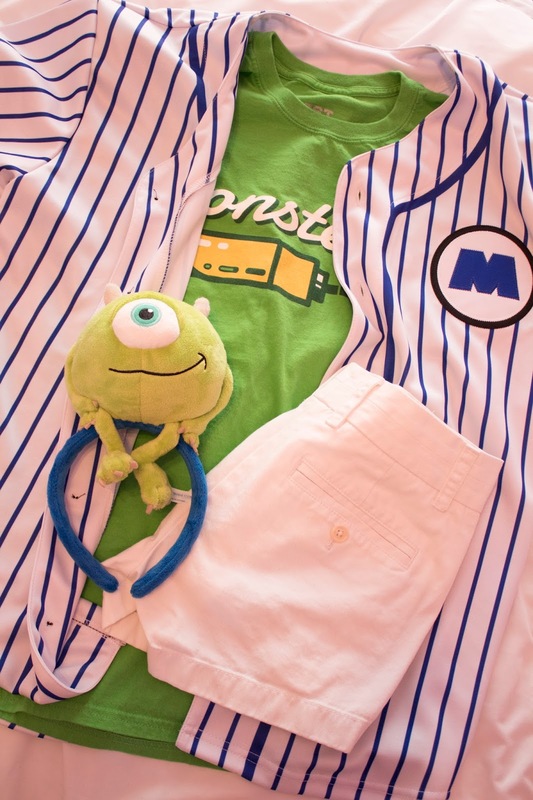 My Monsters Inc. inspired look is probably the one I am most excited for. Monsters Inc. is BY FAR my favorite movie. 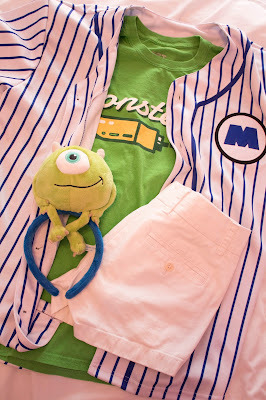 So I am going a little cray withe the Mike Wazowski styling, but no shame. Then my other look is inspired by Woody! I love how this tee matches this Lilly skort. Monsters jersey tee | Lost Bros.
Cowboys jersey tee | Lost Bros. 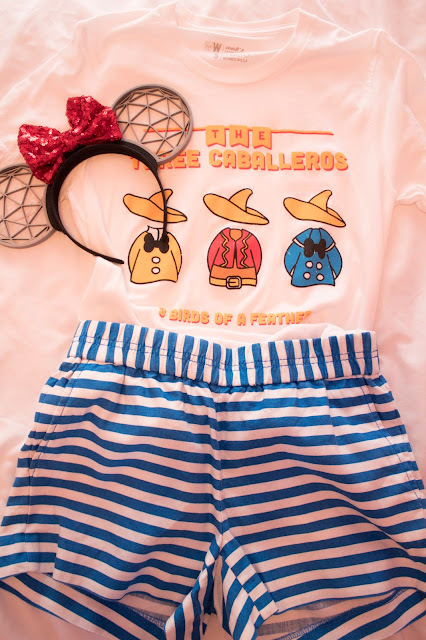 The Three Caballeros is my family's favorite ride, so when I saw this Walt's Wardrobe tee from a while back the whole fam needed them. I'm wearing it solo on this trip, but it will be making an appearance when we go as a whole family a year from now. The striped shorts give me major Donald vibes, so it is perfect for Three Caballeros! I'm planning on wearing this to Epcot to get pictures in front of my fav ride. Oooooooooh! I love the aliens from Toy Story, so when I saw this adorable tee I had to pick it up. 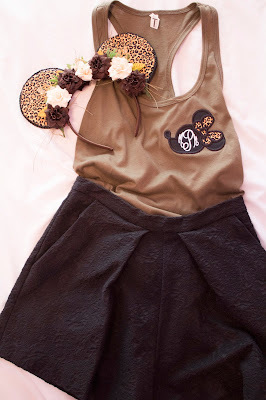 Pairing the tee with fun purple Lilly shorts gives it a preppy feel. To top of the look I'm wearing my fun diamond ears that sparkle like no other. 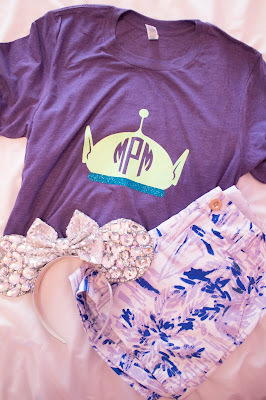 This will be the perfect look for Hollywood Studios! We are missing the Toy Story Land opening, but I am kind of okay with it because that place is going to be bananas when that goes down. Ciao from my favorite Tokyo Disney character Gelatoni! 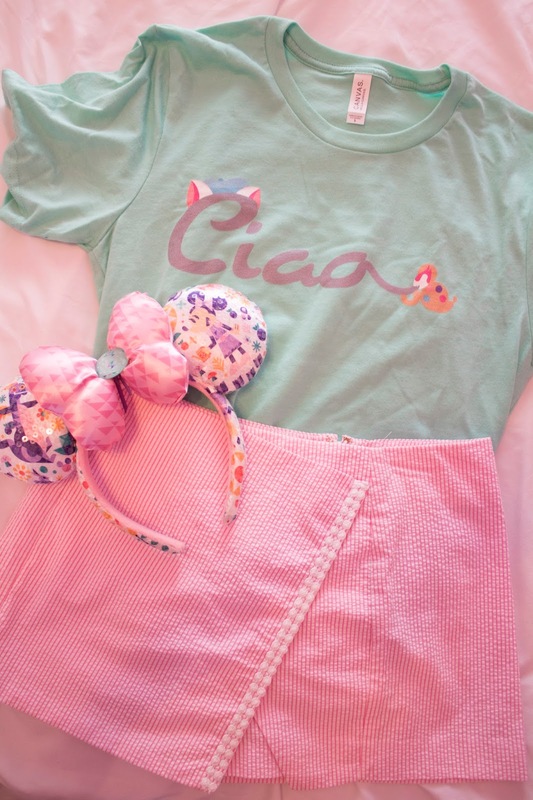 This tee is inspired by the little painter cat that is very well known in Tokyo Disney. I love the pastel colors paired with this seersucker skort. All of the Animal Kingdom vibes with these two looks! I plan on wearing the jersey over the safari inspired tank and then taking it off later in the day for an easy outfit change. I'm a 90s baby so when I saw the Pocahontas jersey with 95' on the back I was obsessed. Plus Meeko is the cutest little sidekick ever. Then of course you need a little cheetah print while at Animal Kingdom! The final outfit I am sharing is this very Mickey look! 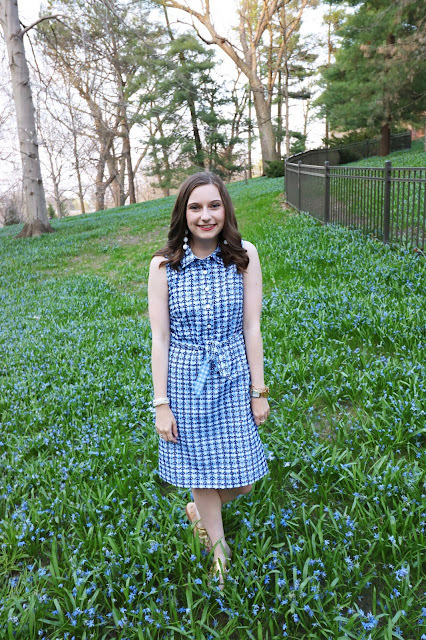 I got this skirt from Cath Kidston a while back and shared it in a Rock the Dots style post. But, I am planning to wear it to the parks as well. 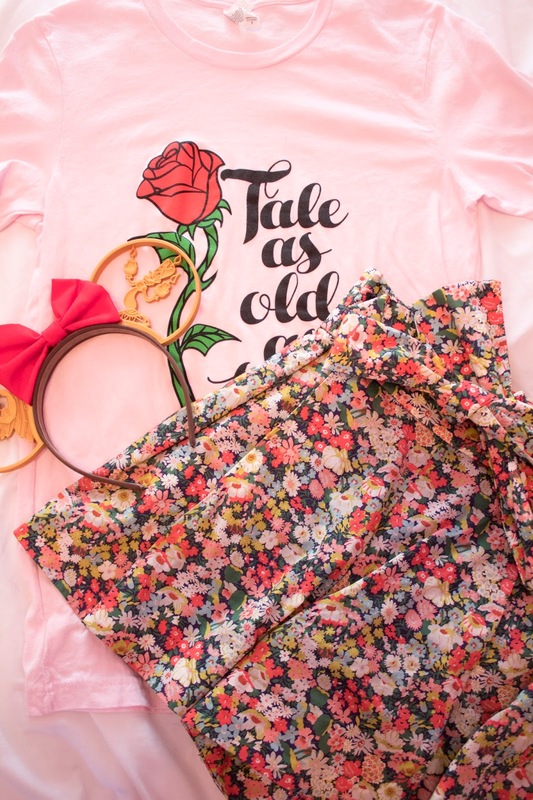 Paired with this fun Mickey tee it's gonna be a super classic Disney style look. There are a few other items and outfits I am bringing for Flower & Garden, but I am still waiting on some of it! So, I guess those will just have to be surprises! But, to give you an idea... below are some links to what else I am bringing to Disney. I always bring sweatshirts because it gets chilly at night. Also, you should always bring some sort of rain gear to be prepared for any showers that may happen in the parks. Which outfit is your favorite? Let me know in the comments! Be sure to check back after my trip to see all of these looks in action!